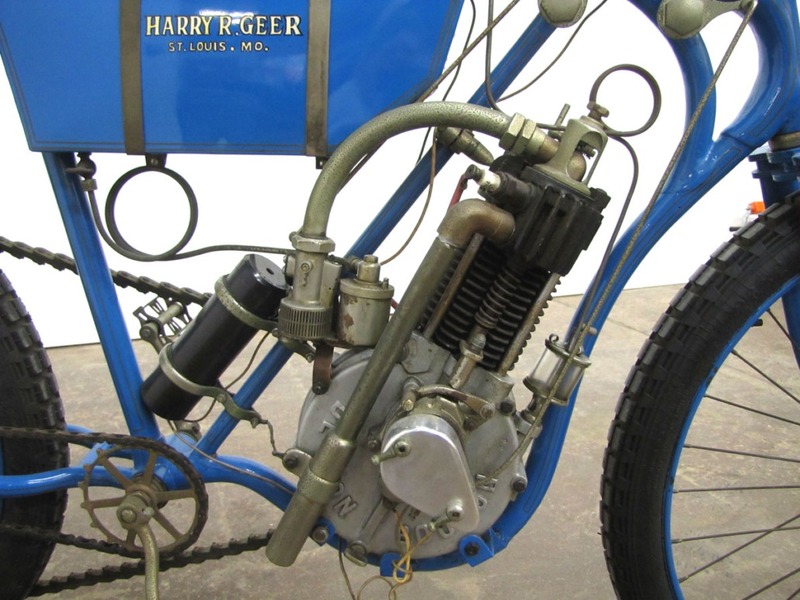 By 1904 the motorcycle manufacturing landscape was full of players, and Harry Geer was active and inventive in St Louis, Missouri. 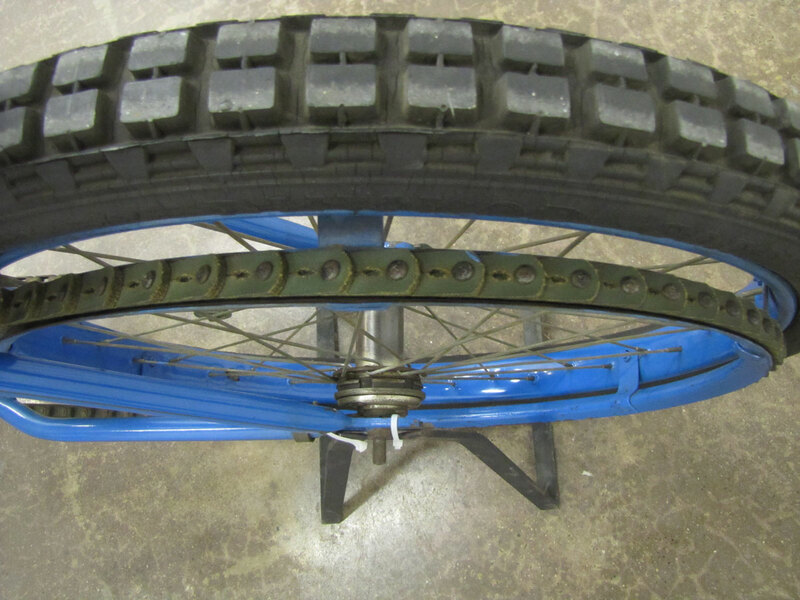 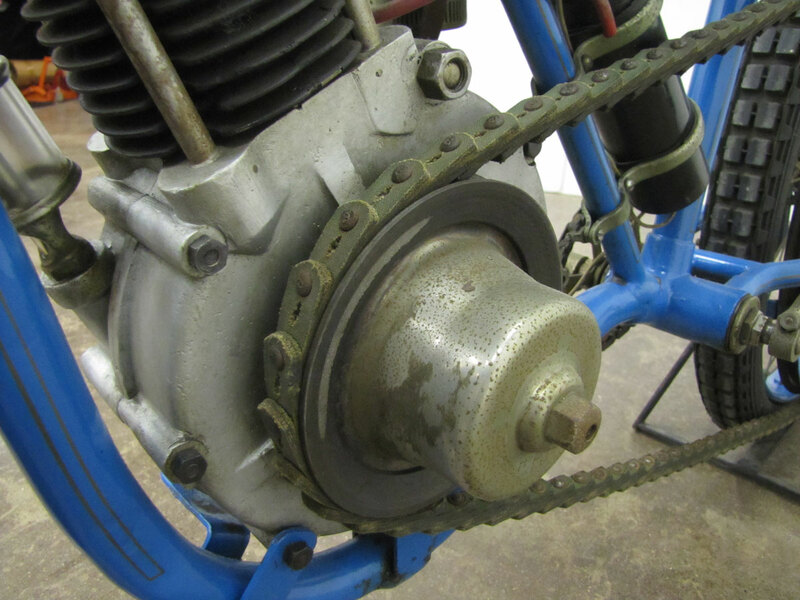 Shopping his catalog, you could buy a complete motorcycle, a kit of engine castings ready for machining, or any components like hubs, frame castings and tubing, seats or handlebars. 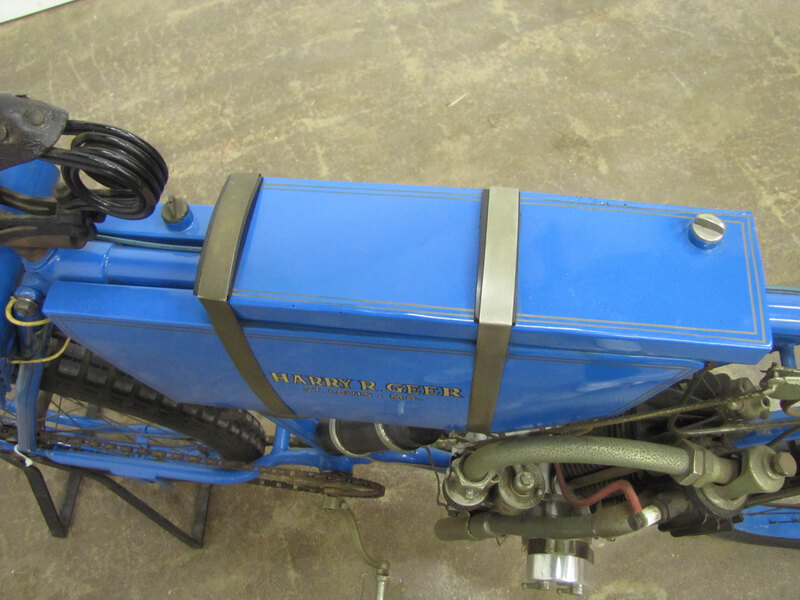 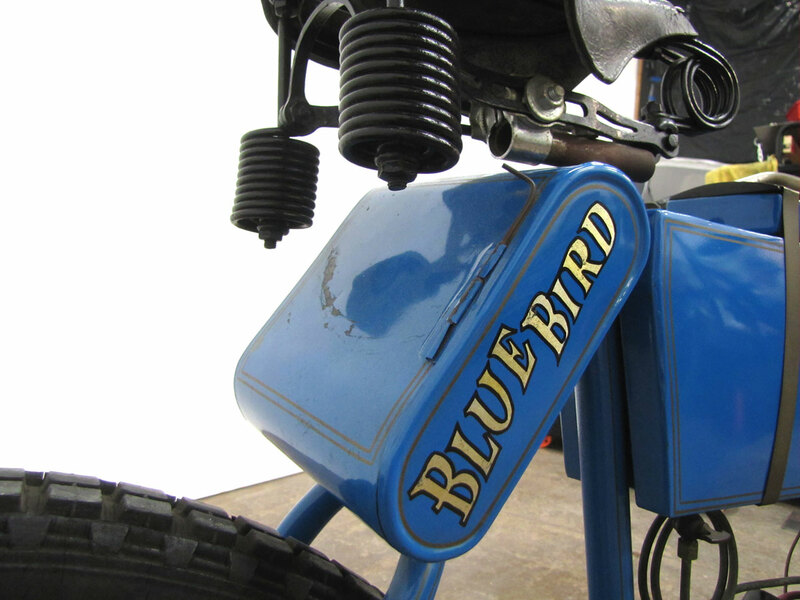 The single-cylinder Blue Bird, and V-Twin Green Egg were actually complete motorcycles Geer purchased wholesale from established manufacturers. 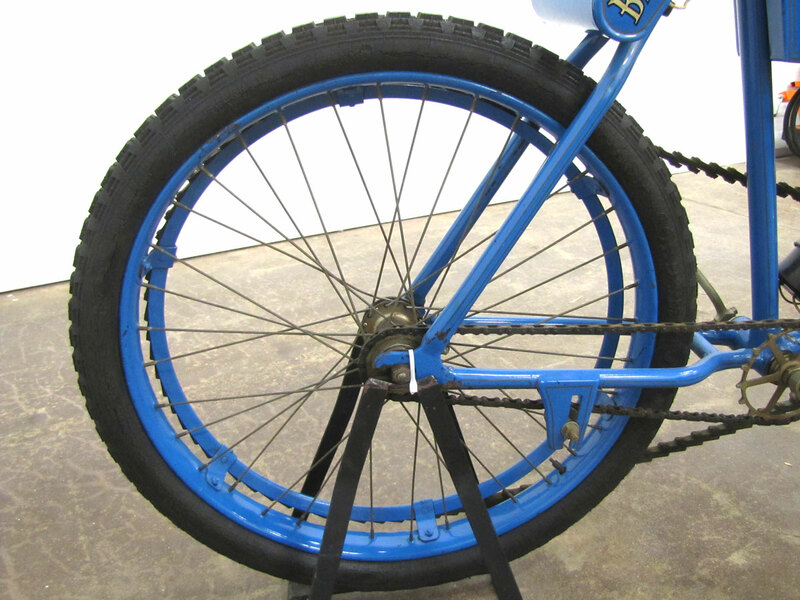 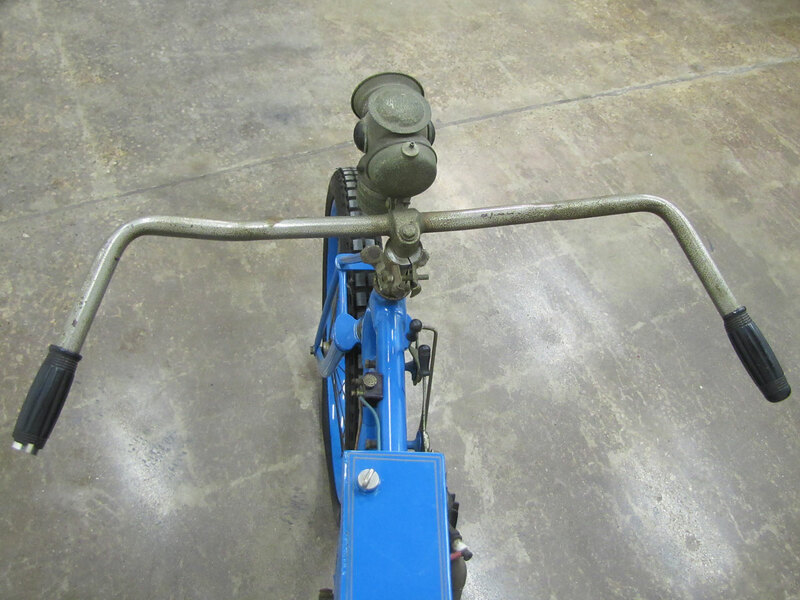 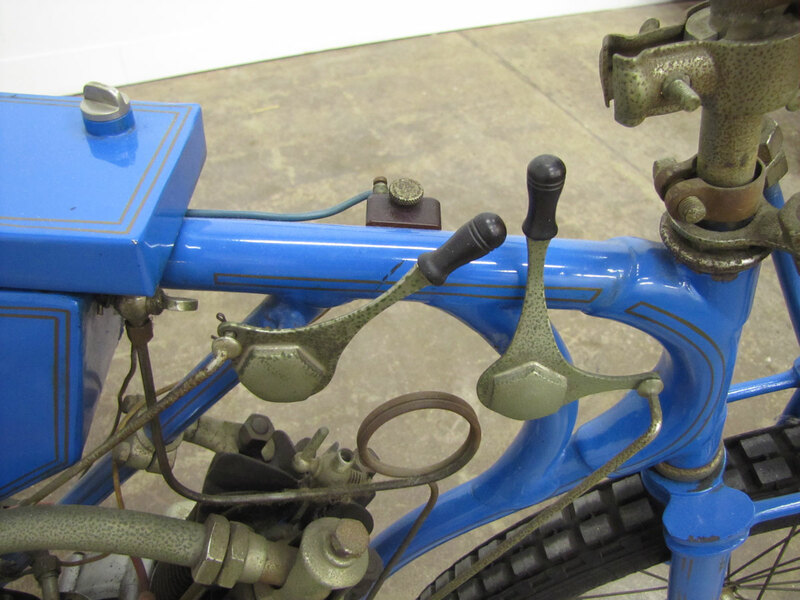 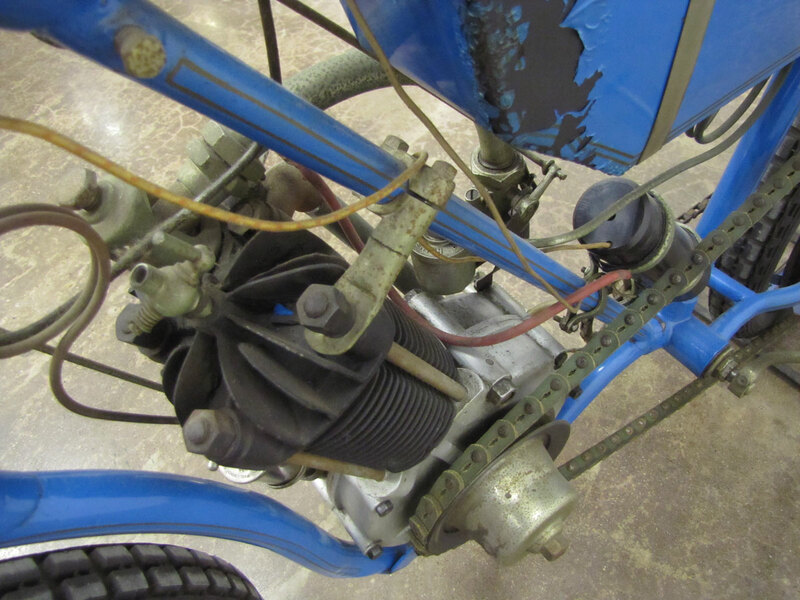 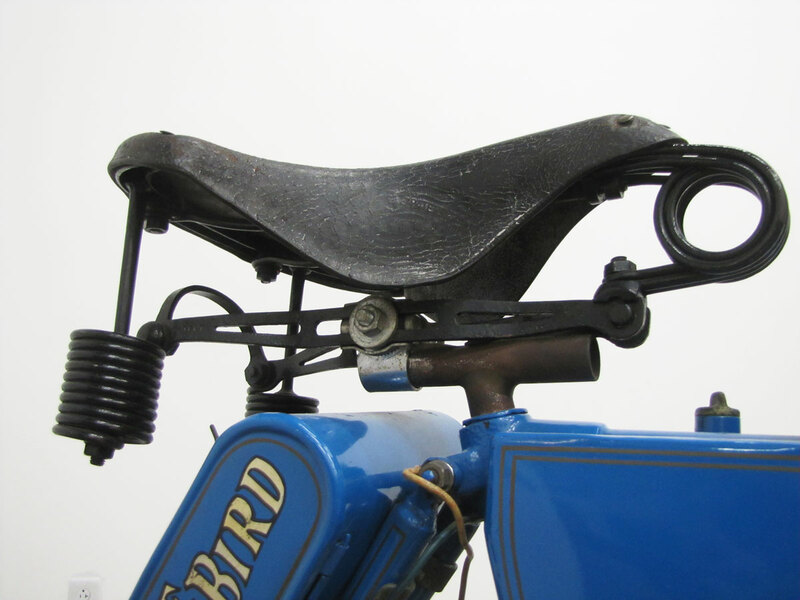 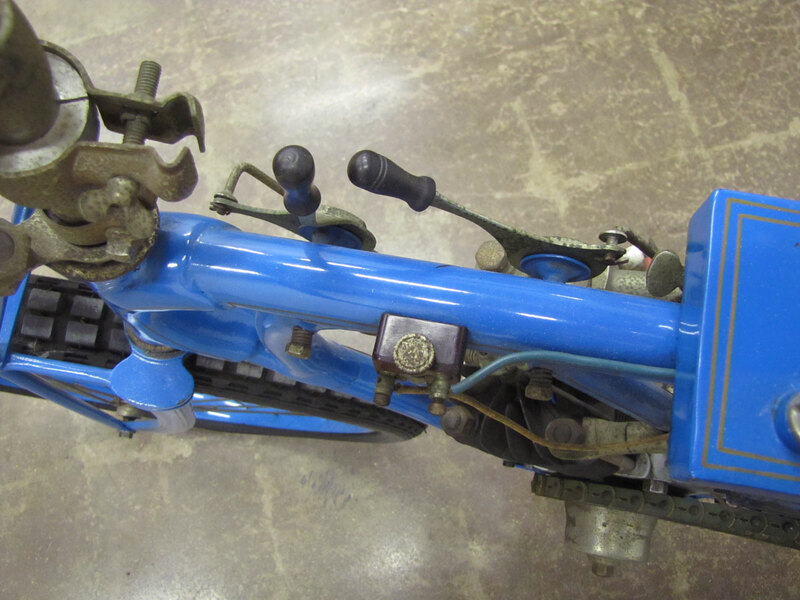 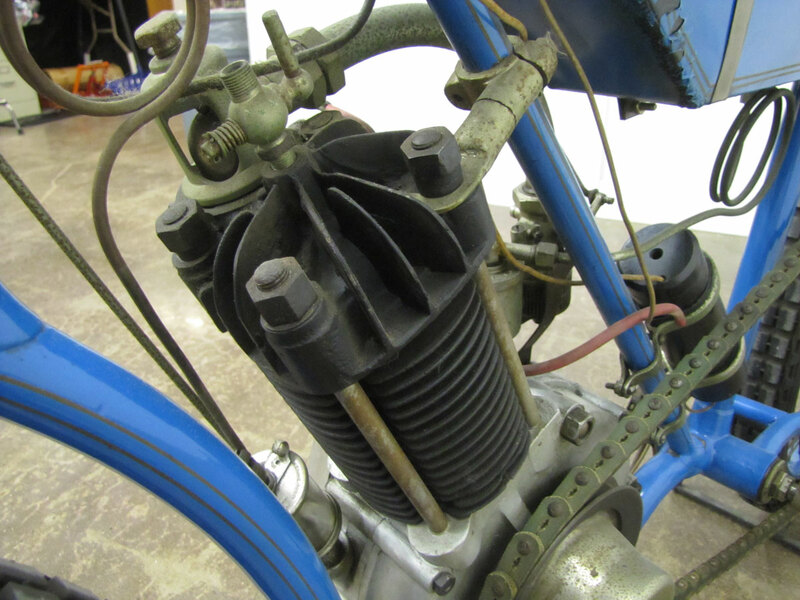 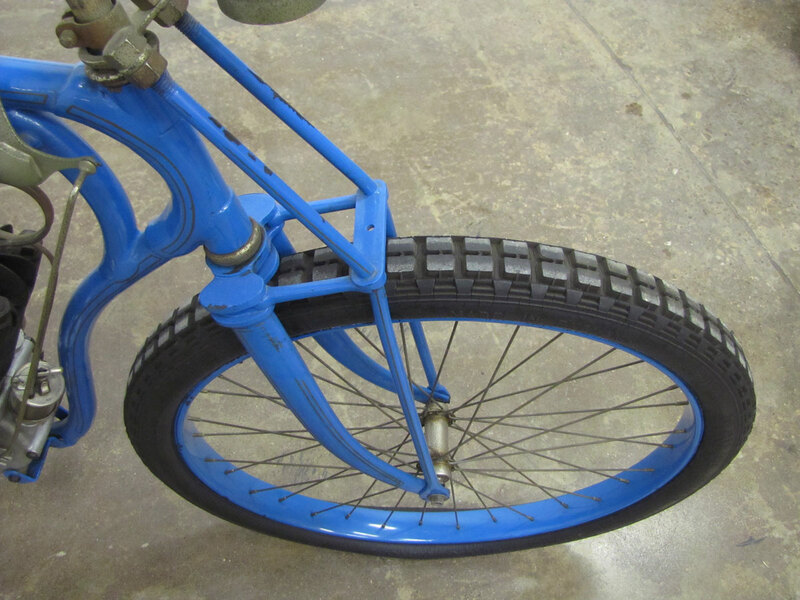 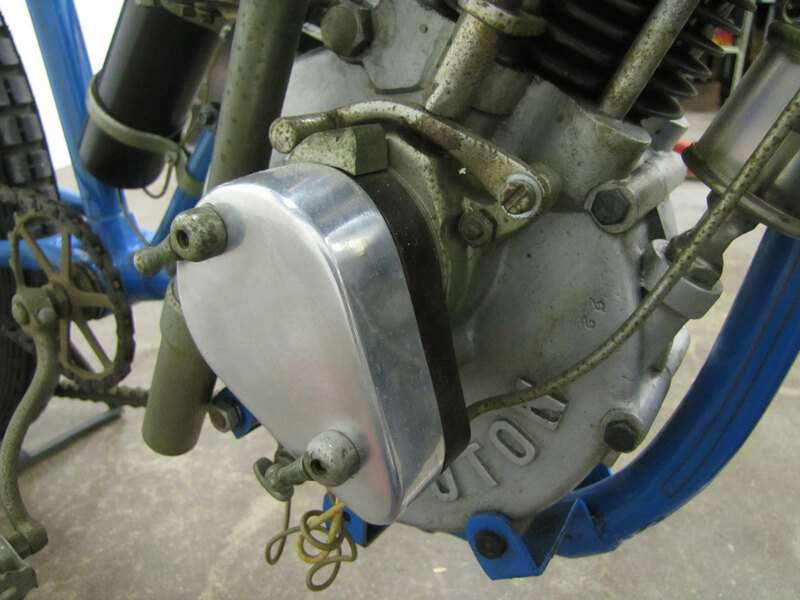 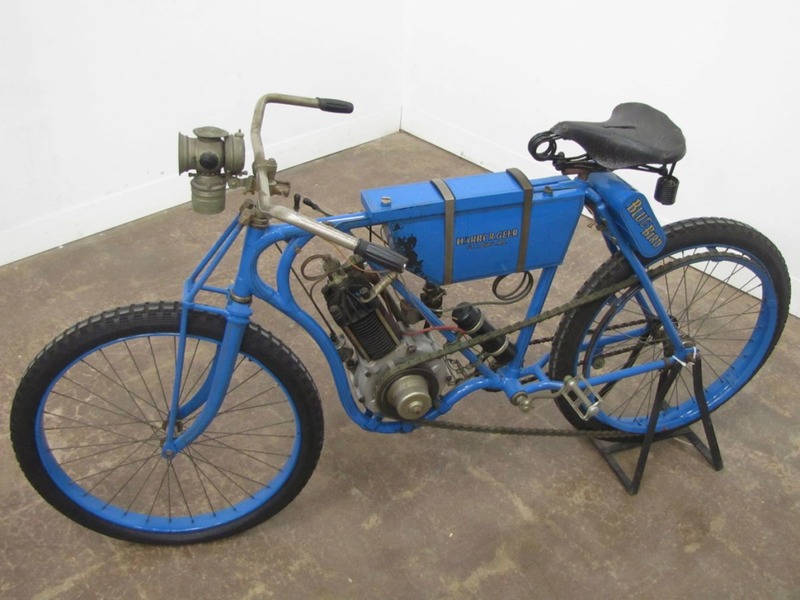 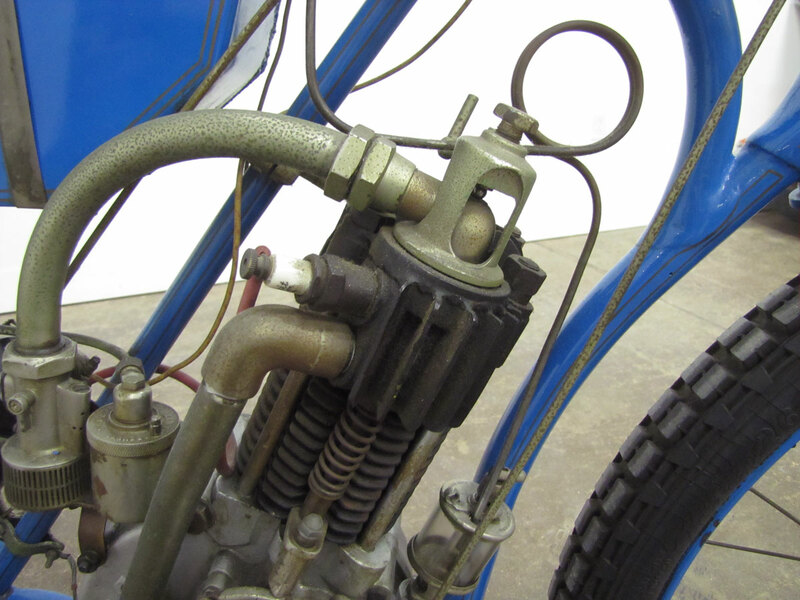 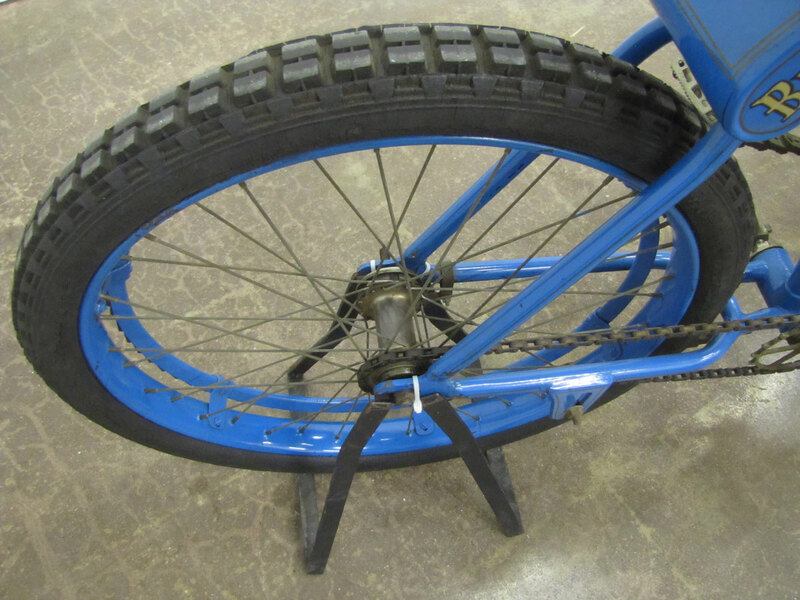 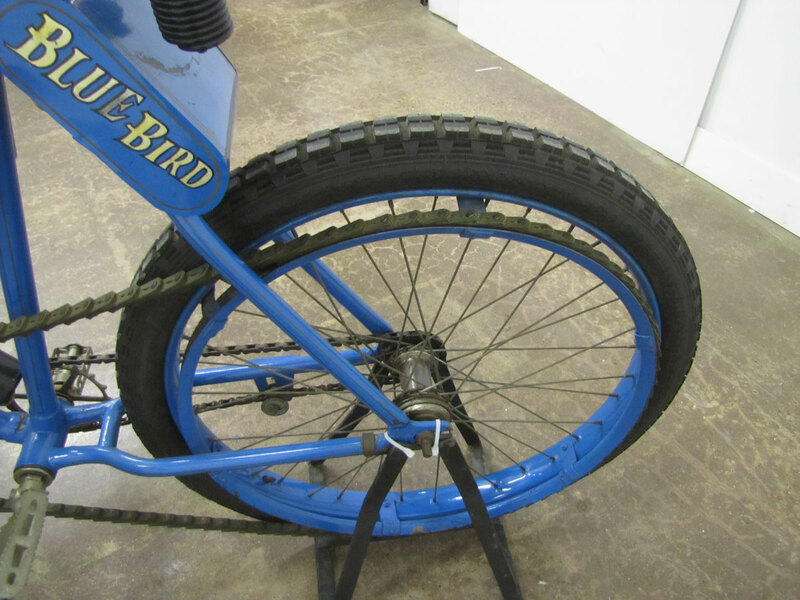 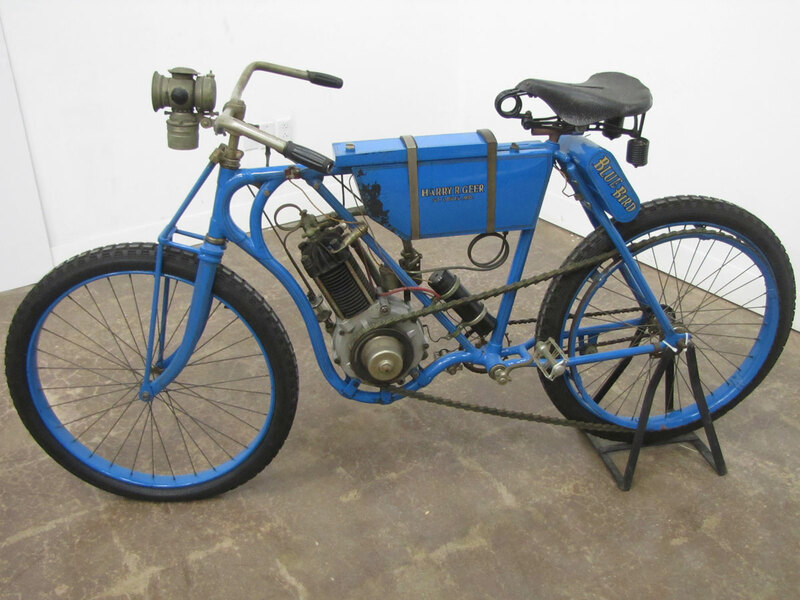 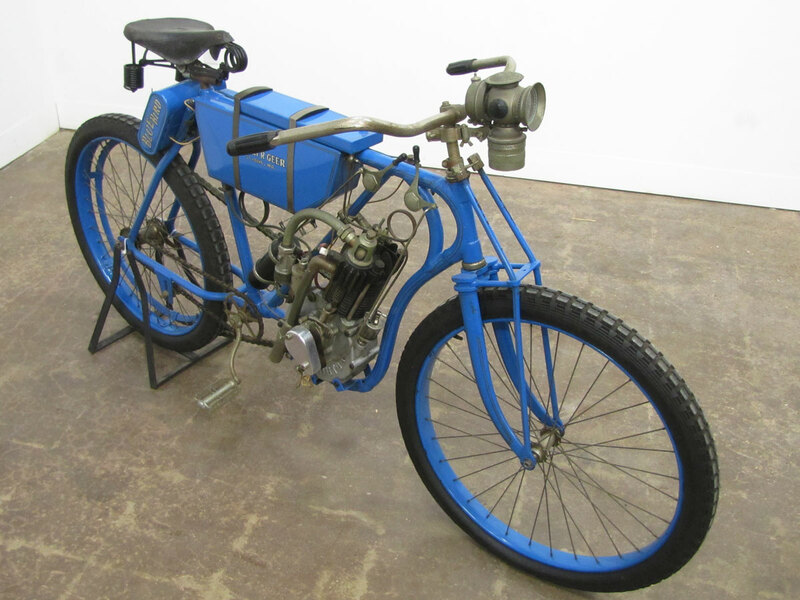 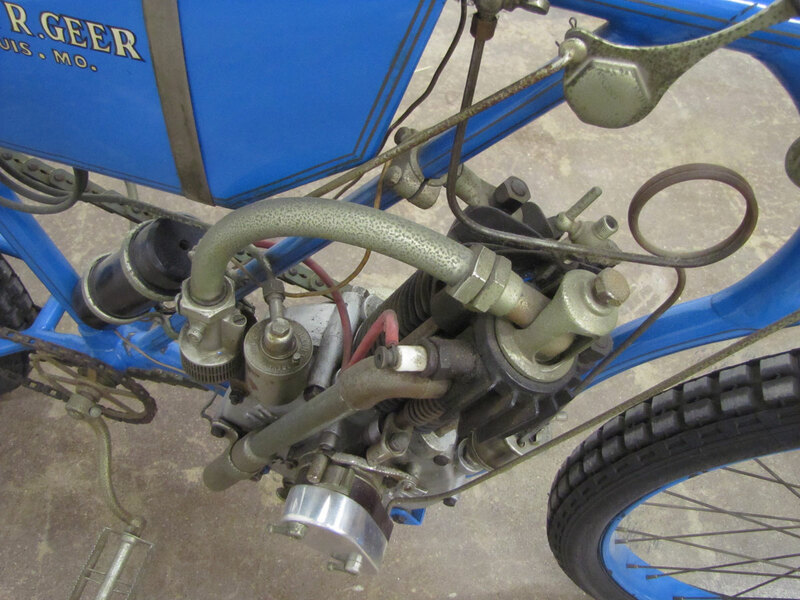 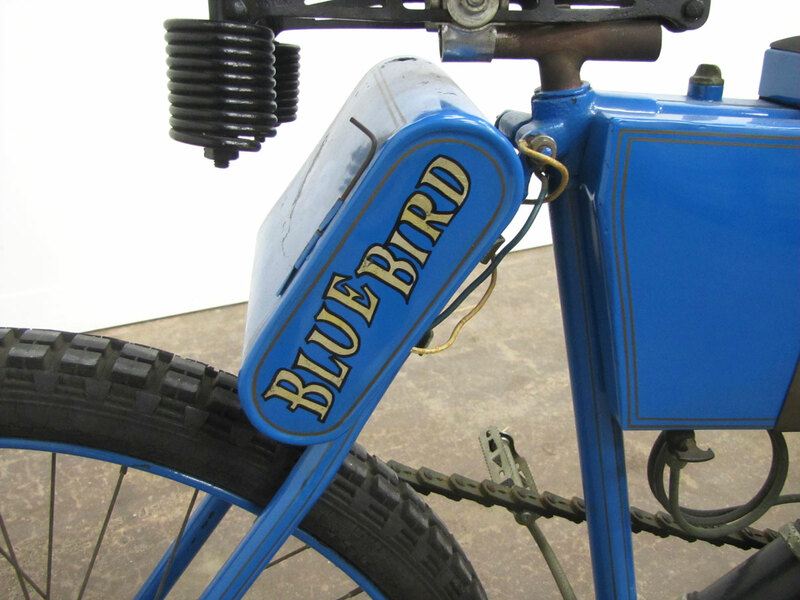 The Mitchell motorcycle, made by Wisconsin Wheel Works, was the basis of the Blue Bird, though Harry used different sheet metal parts. 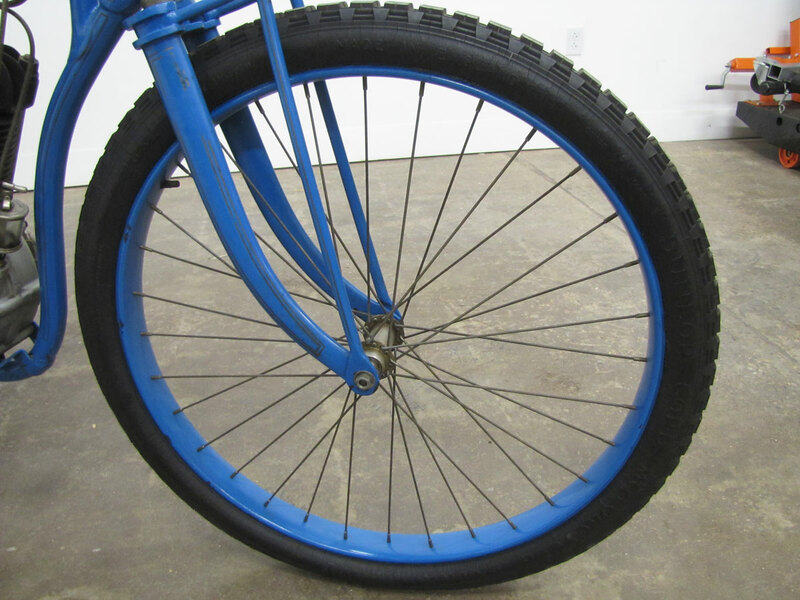 The frame is unusual in that it’s both a loop and diamond design combined and appears very strong for this period. 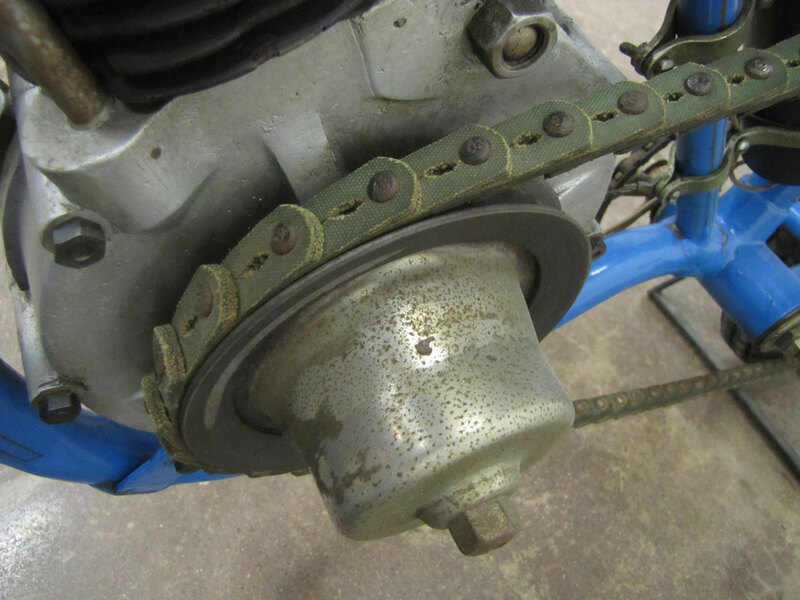 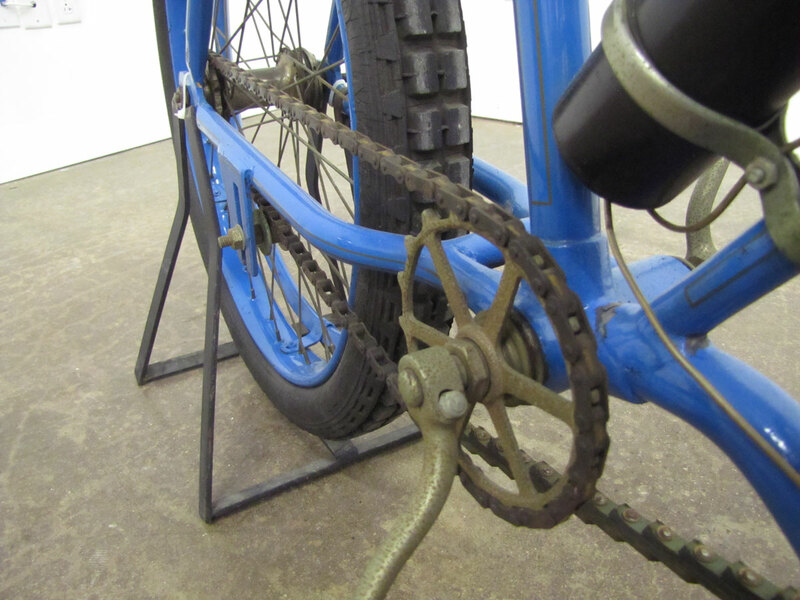 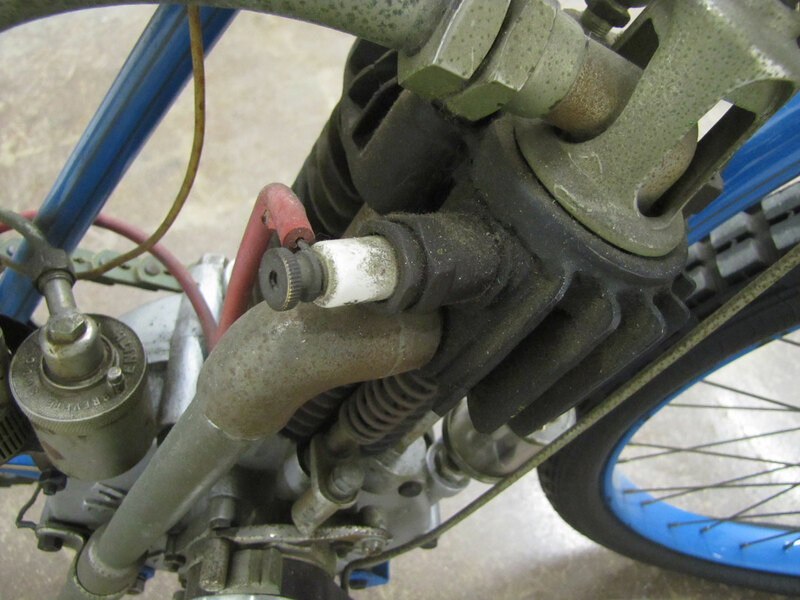 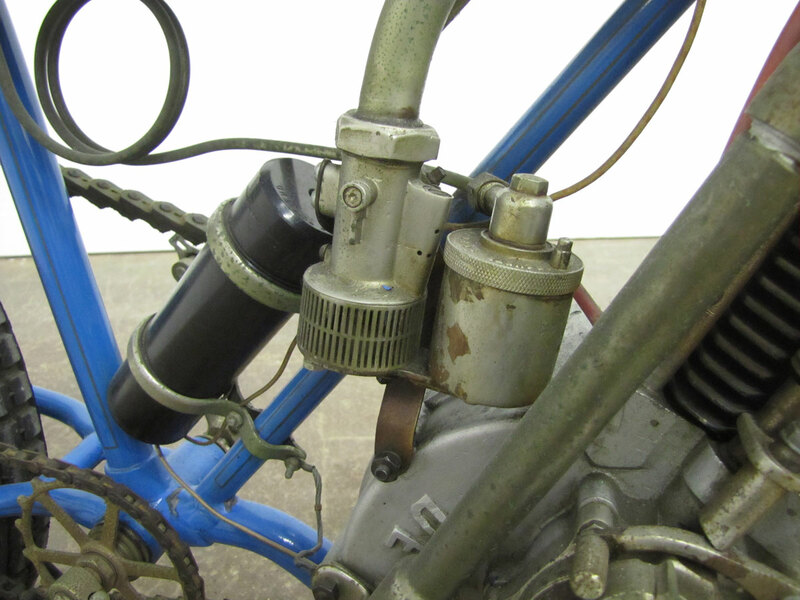 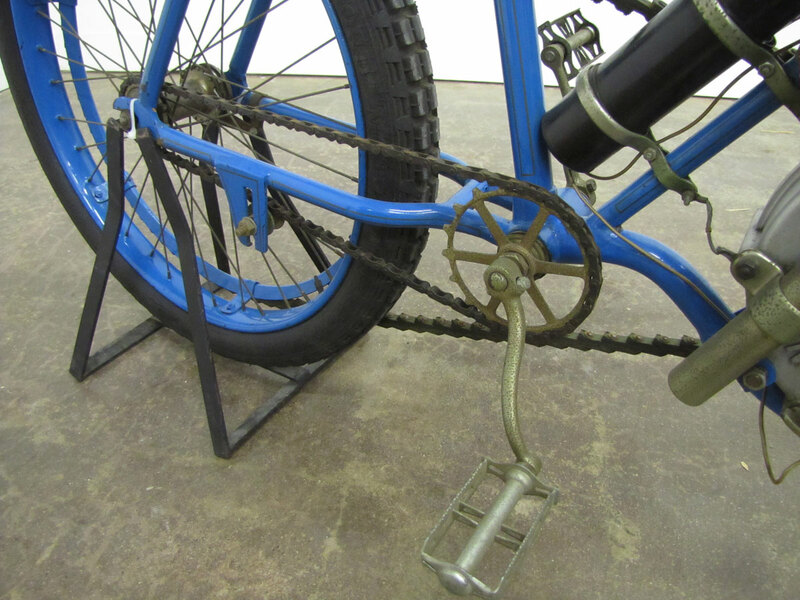 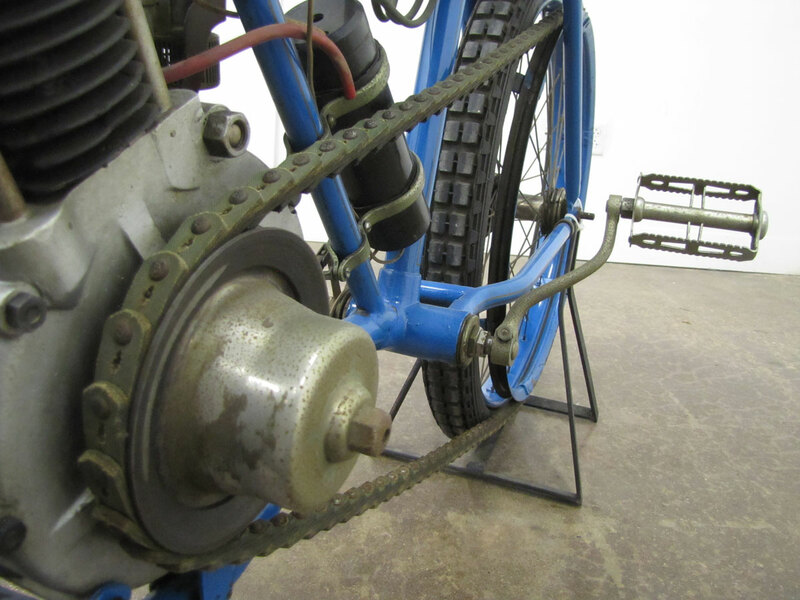 The engine, with a primer cup, is low and to the front, yet there’s good structure to the pedal crank. 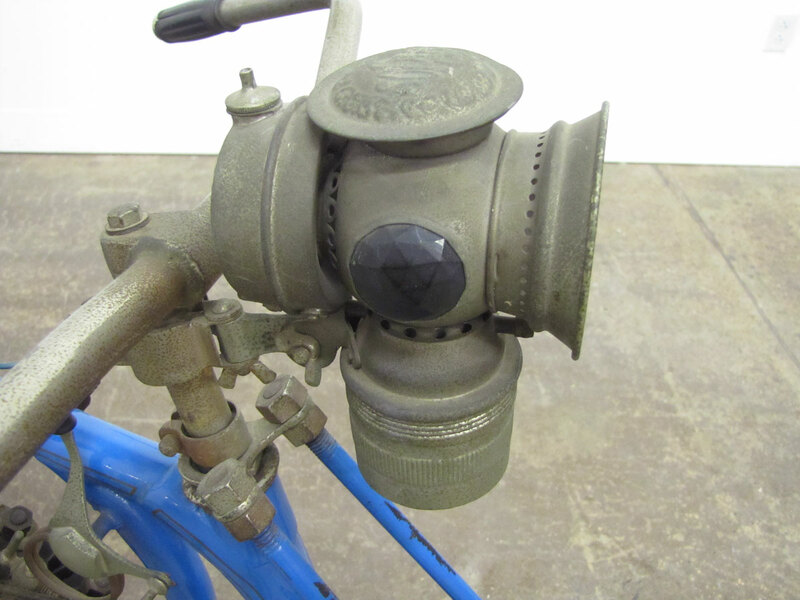 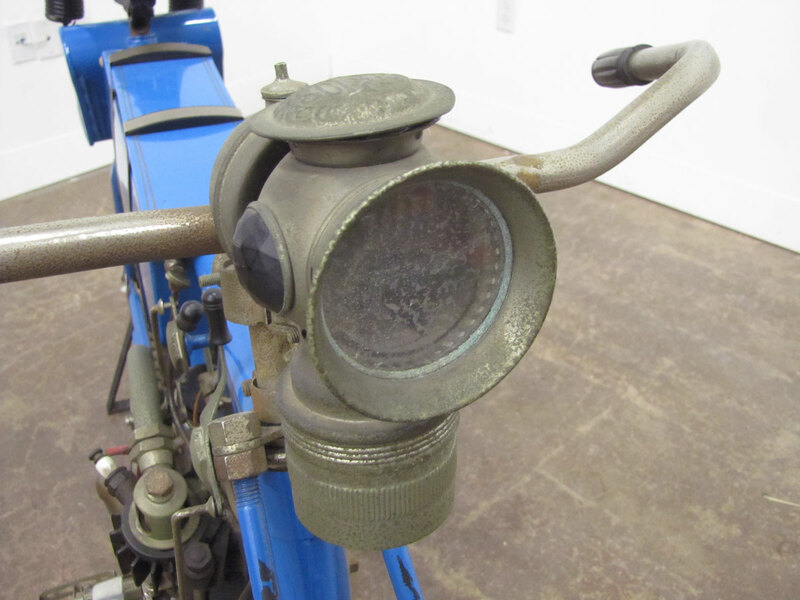 Lighting is acetylene, a self contained headlight unit. 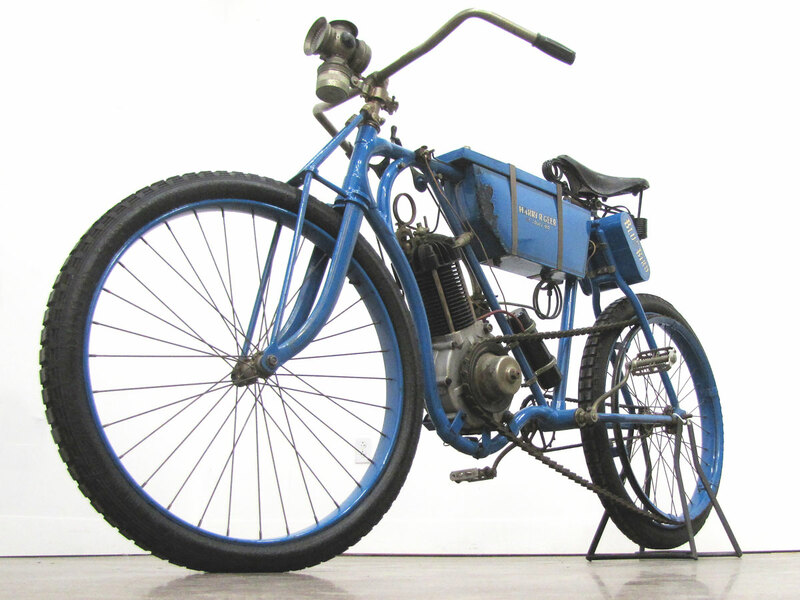 By this time Indian motorcycles had been produced for two years and incorporated more dependable chain final drive. 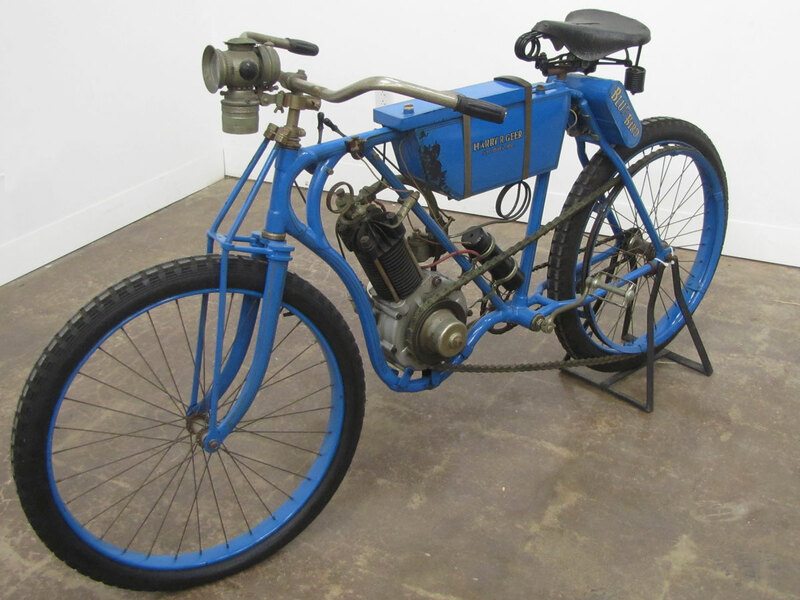 Both of Harry’s machines, at this point, were belt drive as were Harley-Davidsons until 1912. 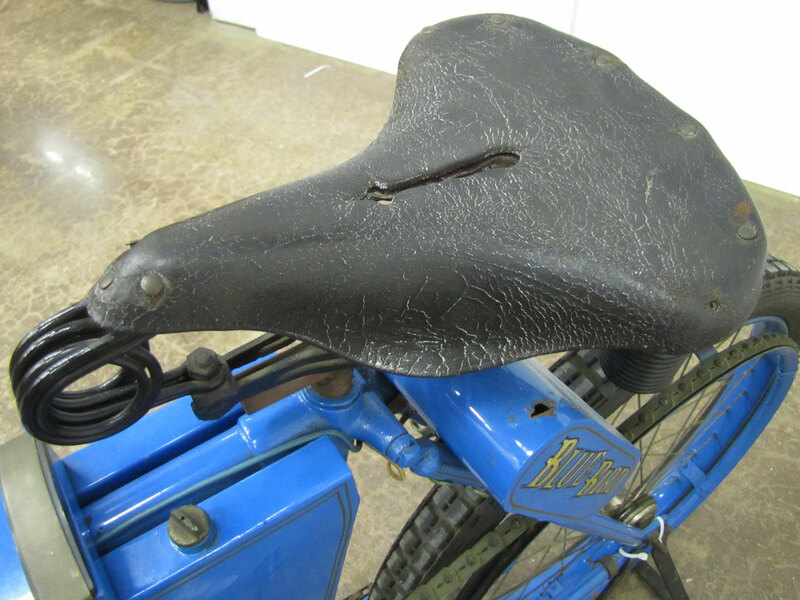 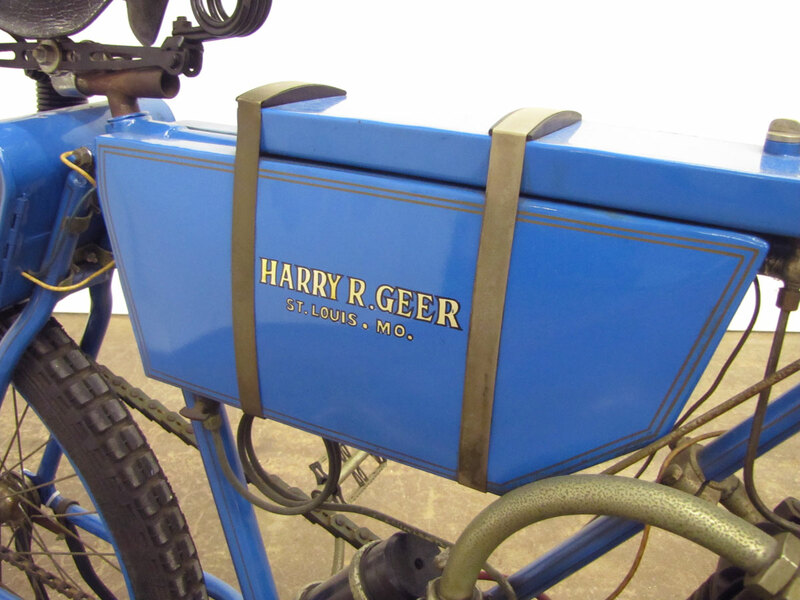 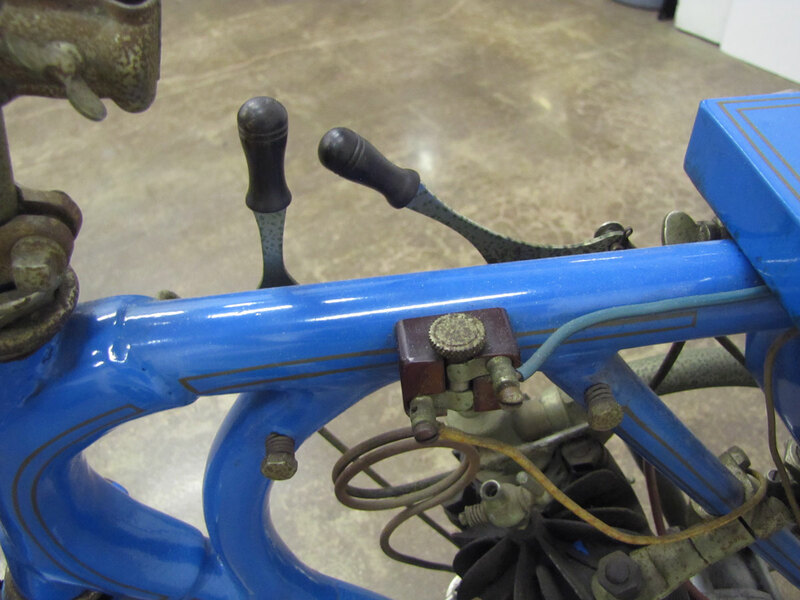 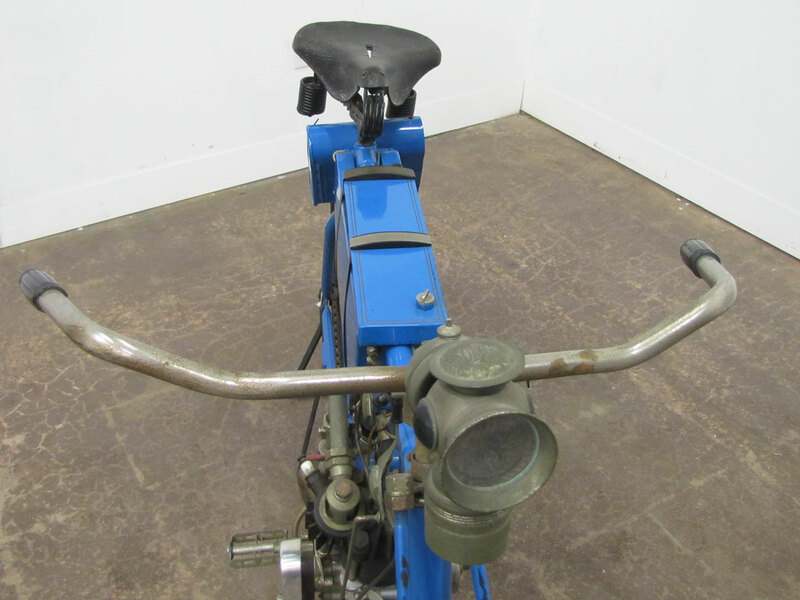 Geer started out selling bicycles, was active with motorcycles from about 1902 to 1911. 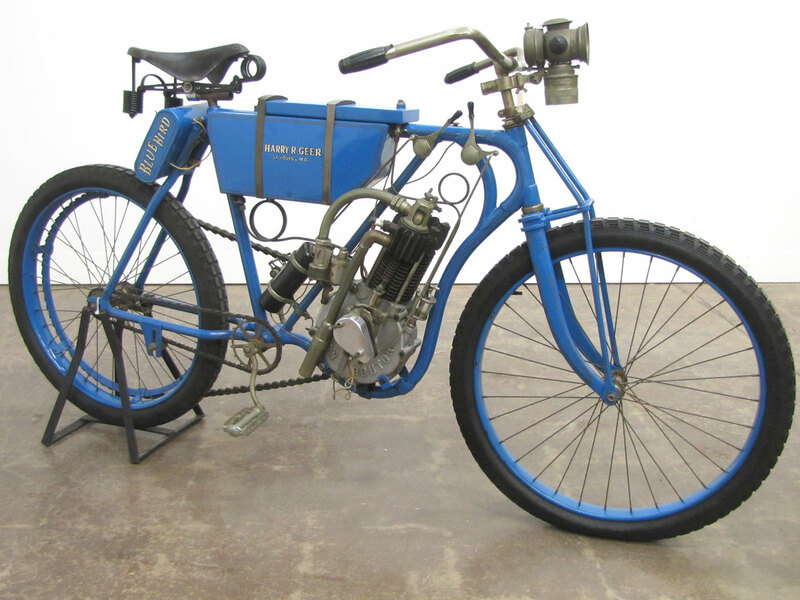 When you visit the National Motorcycle Museum you can take in the new Early American Transportation INNOVATION exhibit, perhaps view it during Vintage Rally, June 29. 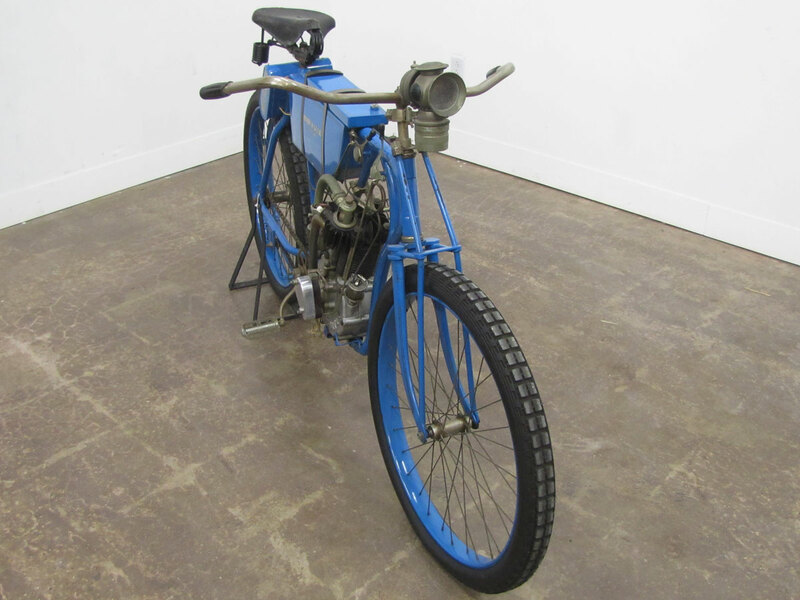 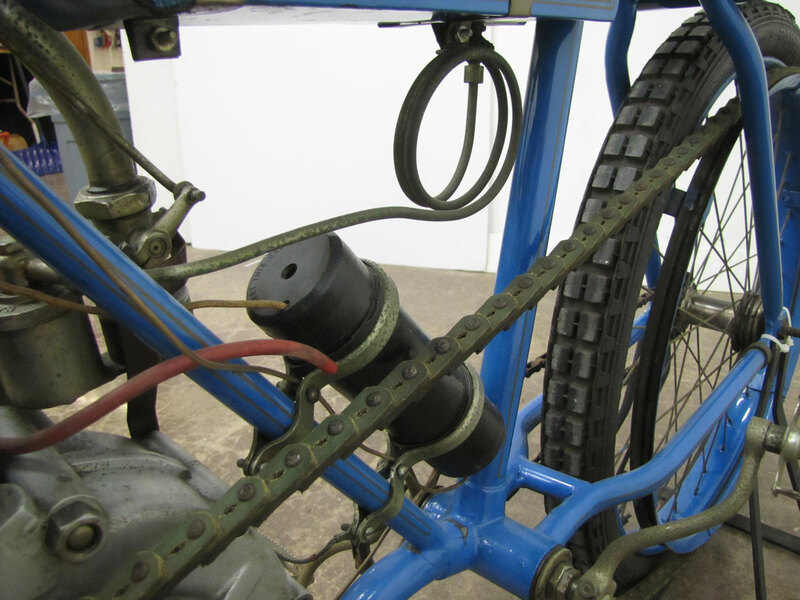 In coming weeks we’ll feature other motorcycles and memorabilia from this new show that has as its centerpiece the 1911 STECO Aerohydroplane and Cycle Car.